The online version of this article ( https://doi.org/10.1186/s13601-019-0255-x) contains supplementary material, which is available to authorized users. Randomised controlled trials (RCTs) are required to establish the efficacy and explore the safety of asthma treatments, but are insufficient to provide holistic evidence on the benefit/risk ratio of interventions when offered, initiated or used in the heterogeneous asthma patient populations and care settings that exist outside the trial environment. 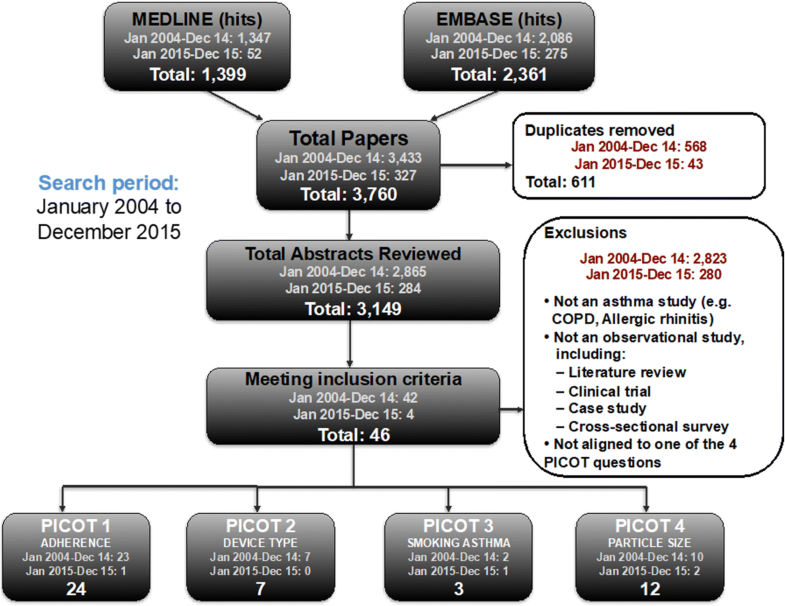 Registration asthma and allergy RCTs are designed to maximize chances of observing efficacy . To do so, they impose a standardised level of care (often more intensive and extensive than is feasible in routine care) and systematically exclude patients presenting with characteristics that could modulate treatment responses such as smoking, obesity, poor adherence, inhaler misuse, poor reversibility, possible overlap with chronic obstructive pulmonary disease (COPD) or other comorbidities [2, 3, 4, 5, 6, 7]. In this way, registration RCTs guarantee high internal validity to obtain market authorization of the drug but do not provide sufficient evidence to guide decision-making in routine clinical practice, since they exclude a significant proportion of the real-life asthmatic population . Excluded patients may also represent subsets of the population in whom achieving asthma control is more difficult, i.e. those who warrant increased attention and monitoring. Therefore, it is necessary to test the external validity of the findings of the registration RCTs: their generalizability and their applicability to the general asthma population and to specific subgroups usually excluded from RCTs . It is important to find reliable research methods to complement RCTs and broaden the evidence-base available to inform clinical practice decision-making [10, 11, 12]. Several study designs are available to reach this goal, including pragmatic randomized trials and observational studies, which can be prospective or historical, the latter relying on clinical cohorts, registries or databases [1, 13]. Phase IV comparative effectiveness studies are crucial not only to clinicians, but also to other stakeholders such as guideline developers and healthcare policy makers . They can also generate new hypotheses to be tested in RCTs or other adapted study designs. A number of frameworks have been proposed to help characterise the extent to which a study design reflects pragmatic aspects or real-life patients and practice [1, 21]. 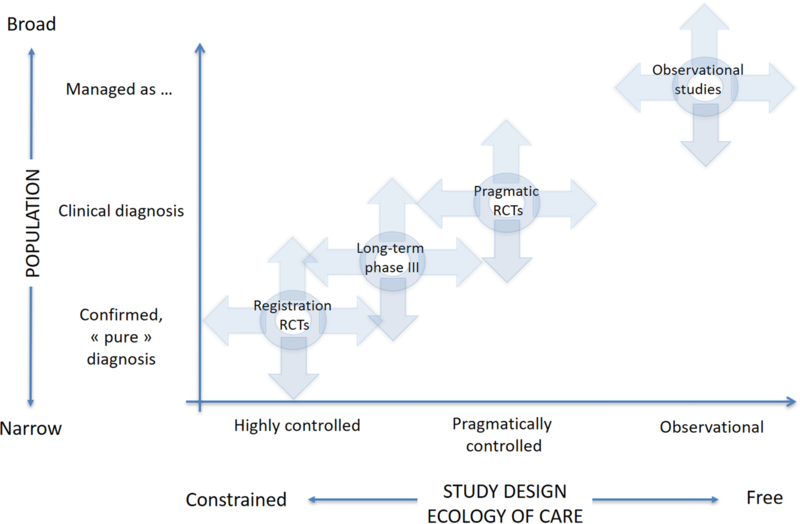 One of these frameworks (developed by respiratory clinicians but more generally applicable) relies on two axes, namely the population’s characteristics and the so-called “ecology of care”, which encompasses the context in which care is delivered (e.g., routine primary care vs. controlled conditions with regular visits to specifically trained healthcare professionals, as in most registration RCTs) (Fig. 2) . This framework was proposed by the Respiratory Effectiveness Group (REG), an academic non-profit organization created in 2012 with the aim of promoting high-quality real-life research in respiratory diseases. Several tools to guide the design and reporting of observational research have also been developed, sometimes using systematic and rigorous processes [22, 23, 24, 25, 26, 27]. While these provide invaluable insights and recommendations for evidence generation, they have not been specifically designed for the evaluation of published (comparative) effectiveness research. Full details of the REal Life EVidence AssessmeNt Tool (RELEVANT) development and assessment process are detailed in a dedicated article . 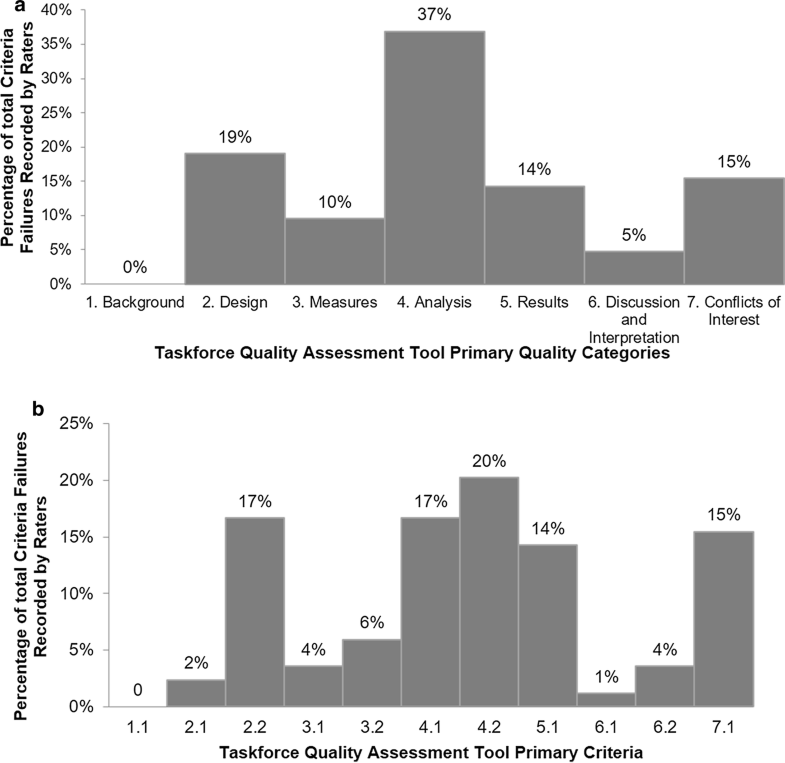 In summary, a systematic review of related quality tools and recommendations for effectiveness research proposed in the published literature was performed [22, 23, 24, 25, 26, 27]. Appropriate quality assessment domains and specific sub-items were identified, agreed through Task Force discussions and used to build a first version of RELEVANT. The domains were: background, study design, measures, analysis, presentation of results, discussion and interpretation, conclusions and reporting of possible conflicts of interest including, but not restricted to, study funding. For each domain, items (n = 25 altogether) were divided into primary and secondary/supporting. The resulting assessment grid was then tested by 9 members of the Task Force divided in two groups, each assessing three articles selected by the Task Force leads. For each item, the agreement between raters was calculated before being summarized for all primary items, all secondary items and all (primary and secondary) items combined. Three of the papers reviewed considered the relationship between adherence and outcomes in patients with asthma, and three papers examined the relationship between particle size or device type and asthma outcomes [29, 30, 31, 32, 33, 34]. Rater comments on the ease of implementation of the RELEVANT tool were collected as free text using a dedicated table. Levels of agreement and rater comments were discussed face-to-face at a Task Force meeting and the tool was refined and formatted to be usable on a web-based platform. The resulting version of the tool was tested on a larger basis by 22 raters distributed into 3 groups reviewing 2 papers each. There were two papers on the relation between adherence and asthma outcomes, two on the relation between drug persistence and healthcare resource utilization and two on the relation between particle size and outcomes [35, 36, 37, 38, 39, 40]. Additional free-text feedback was captured and used to guide further refinements and to finalise the first version of RELEVANT. Altogether, 46 relevant articles were identified: n = 24 for PICOT question 1 [7, 29, 35, 36, 38, 42, 43, 44, 45, 46, 47, 48, 49, 50, 51, 52, 53, 54, 55, 56, 57, 58, 59], 7 for PICOT question 2 [34, 39, 60, 61, 62, 63, 64], 3 for PICOT question 3 [33, 65, 66] and 12 for PICOT question 4 [32, 40, 67, 68, 69, 70, 71, 72, 73, 74, 75, 76]. Figure 4 shows the results of the quality assessment of all papers by PICOT question and Fig. 5 provides a summary of failed items (Fig. 5a) and domains (Fig. 5b). The detailed quality assessment of all selected articles is presented in the Additional file 1: Table S5. Several analyses, mostly by the same group [32, 40, 67, 68, 69, 70, 71], were performed in various populations (children, adults) using various databases (UK, US) and found superiority of extra-fine versus larger particle ICS administered alone or as part of an ICS-LABA fixed dose combination in asthma [32, 40, 67, 68, 69, 70, 71, 72]. Accordingly, economic analyses using these results suggested extra-fine ICS was a dominant strategy as compared with larger particle ICS alternatives [32, 69]. The REG-EAACI Task Force on quality standards in asthma comparative effectiveness research defined target quality standards and developed a quality assessment tool—RELEVANT—to appraise published observational effectiveness studies. The definition of standards and development of the tool aimed to provide a simple assessment grid for paper-based or web-based use, specifically designed for the evaluation of published effectiveness research. They were based on previous initiatives in this area [22, 23, 24, 25, 26, 27] and iterative testing and refinement. RELEVANT follows a two-step process: first assessing primary, critical items; then appraising secondary, beneficial quality items. When used in the context of decision-making or guidelines development, it is strongly suggested to stop the assessment and discard the study if any one primary criterion is not satisfied. One major challenge in that respect is to distinguish between a methodological flaw and insufficient reporting. The latter can be overcome (e.g. by contacting the authors for clarifications), but may also be improved through awareness of the RELEVANT tool. The initial steps of the process confirmed that conducting a search specific to observational effectiveness research is challenging given the lack of standardised and specific terminology/nomenclature and requires the input of specialists of bibliometric research databases. Despite this, the number of published articles available for each of the PICOT questions was surprisingly low given the long period that was scrutinized (10 years), especially for PICOT questions 2 (influence of device type on the effectiveness of maintenance ICS therapy, n = 7 papers) and 3 (influence of current active smoking on the effectiveness of ICS-containing maintenance therapy regimen, n = 3 papers). This illustrates that observational effectiveness research in asthma is still infrequently performed or reported despite the clear need for real-life data to complement classical RCTs by answering different study questions including to, better assess the extent to which their results can be generalised, and identify the best target populations. Inhalation technique is known to be poor overall with at least 50% of the patients making manipulation and/or inhalation errors, which is associated with poor control of asthma and chronic obstructive pulmonary disease (COPD) [6, 7, 78, 79, 80]. This has led to the development of new devices aiming at facilitating the use of inhaled therapy . However, none of these devices can be considered as ideal , making it necessary to determine whether some are more effective than others in real-life populations, as opposed to RCTs populations in which patients are specifically educated to use studied devices properly. Regarding smoking asthmatics, in vitro studies showed that smoking decreases the sensitivity of inflammatory cells to corticosteroids, at least in part through oxidative stress-induced decreases in the cofactor histone deacetylase 2 [83, 84]. RCTs also showed a decreased clinical effect of ICS in smoking asthmatics . How this translates within real-life populations is largely unknown. Altogether, real-life effectiveness studies might be useful to better identify subpopulations with specific responses to therapy, allowing more effective treatment individualisation. There was a marked “research team” bias since 16 articles (34.8%) came from a single research team (references [32, 34, 40, 58, 60, 61, 62, 63, 64, 65, 67, 68, 69, 70, 71, 76] for the 4 PICOT questions, respectively), among which only 3 (18.8%) [58, 64, 76] were rejected based on quality assessment (vs. 52% of all articles). To avoid possible reviewing bias raters of a given paper could not belong to or collaborate with the research team(s) of the authors. Thus, this observation suggests the importance of experience in the field of observational research to increase the likelihood of high-quality methods. Overall the observational research literature analysed here shows that poor adherence is associated with poor outcomes [38, 42, 43, 44, 45, 46, 47, 48, 49]. However, the studies did not define thresholds of adherence which are reliably associated with improved outcomes. Thus, further analyses specifically designed to address this issue are needed. Results from observational studies suggesting that LTRA may be more effective than ICS in obtaining control in non-adherent patients (while the opposite is true for adherent patients ) are in line with those of a pragmatic randomized trial, which found similar effectiveness of these two drug classes in a real-life setting . These data contrast with that of classical RCTs, which found greater efficacy of ICS . This discrepancy might relate to differences in adherence, which is expected to be greater in classical RCTs’ patients than in real-life populations, in which it could be superior with an oral drug than with an inhaled treatment. The reluctance of some patients to take corticosteroids might also play a role. 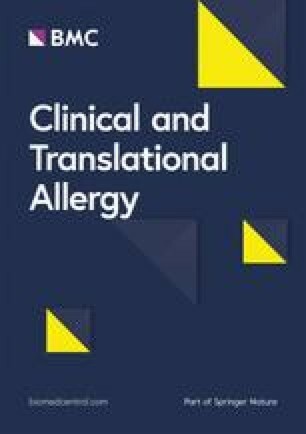 Several studies (most performed by a single research group) found that asthma outcomes were better in real-life patients receiving ICS or ICS-LABA combinations delivered by extra-fine rather than fine particle formulations [32, 40, 67, 68, 69, 70, 71, 72]. These studies followed strict processes to minimize severity biases, including matching and adjustment strategies. However, as always in observational database research, it is not possible to totally exclude residual confounders that would be detected only if full clinical data were available. Importantly, the selection and quality assessment processes used here were subsequently applied to a recently published systematic review and metaanalysis on this topic . Additional file 1: Table S1. Taskforce Activity Schedule Summary. Table S2. Literature review search terms: used to identify a list that would include asthma observational comparative effectiveness studies. Table S3. Reading grid used by reviewers to summarize selected articles. Table S4. List of REG and EAACI contributors. Table S5. Literature Review Assessment Overview: All papers.